How Would Your Life Change If You Were Able to Replace Fatigue, Self-Doubt, and Worry With Energy, Confidence, and Calm? Everybody knows that feeling… worry, but when it becomes your most reliable companion, life can get overly difficult. We all know worrying doesn’t get us much of anywhere and it surely doesn’t give us solutions. So why do we still do it? Why does it all too often, act as our autopilot? Can we ever get rid of this default mode of worrying? 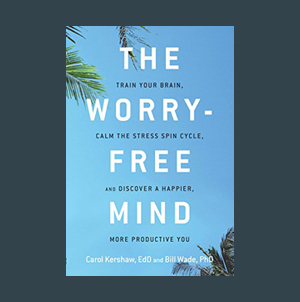 The authors of “The Worry-Free Mind”, Carol Kershaw, Ed. D. and her husband Bill Wade, Ph. D., are both licensed mental health clinicians. Their message is clear: it’s absolutely possible to let go of the habit of worrying and rewire your brain into a much more enjoyable state of being; one that leaves us open to more choices, more joy and a lot less stress. Upgrade Your Beliefs and Habits to Break the Cycle Of Worry That Wears You Down! “We’ll help you think outside the rules and boundaries you’ve set for yourself – consciously and unconsciously – and upgrade your beliefs and habits to break the cycle of worry that’s been wearing you down”, say Drs. 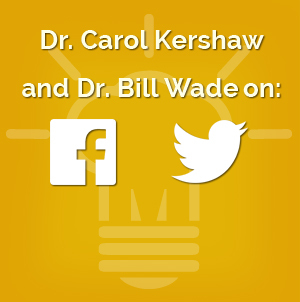 Carol Kershaw and Bill Wade in the introduction of their book. “The Worry-Free Mind” shares easy-to-implement tools and exercises, which can enable you to go beyond the endless noise and thought streams that keep you in constant worry. These practices support you in meeting everyday challenges with clarity and confidence as well as dealing with crisis. They help you free your mind for the more joyful tasks of being fully and happily alive! What’s Inside the Book “The Worry-Free Mind”? In the book you’ll be taken through eight powerful brain change tools based on research from neuroscience, biofeedback, clinical hypnosis and the best psychotherapeutic approaches that have been successfully used to get results. The authors enrich the message and understandability of their book by sharing the lessons and successes of clients, showing that we’re not alone and we are all capable of transformational change. 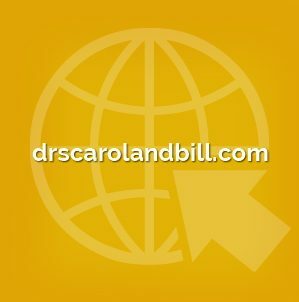 Part 1 – “Place Your Worry Mind on Hold”, explains why we worry, how we can calm our fears and how we find that worry-free space to make important decisions. In Part 2 – “The Brain’s Super Powers”, we learn how to build strategies that interrupt worry patterns and change our brain’s activity. It’s all about dissolving worry and rumination by shifting our focus, attitude and perspective towards life. Part 3 – “Train your State” focuses on enabling us to choose and access the emotional states we want to experience more often. It also teaches us neuro-wellness rituals that help us to deal with crisis and explains us how to replace fear with curiosity. “When you are in balance and flow, you’ll feel no fear or worry. You’ll operate from an inner state of calm peacefulness and transform yourself. You positively influence others, your business, and your spirit”, say the authors in their encouraging Final Thoughts. Learn more about rewiring your brain into more joyful, elevated states of being with “The Worry-Free Mind”! An Audio Book version is also available.